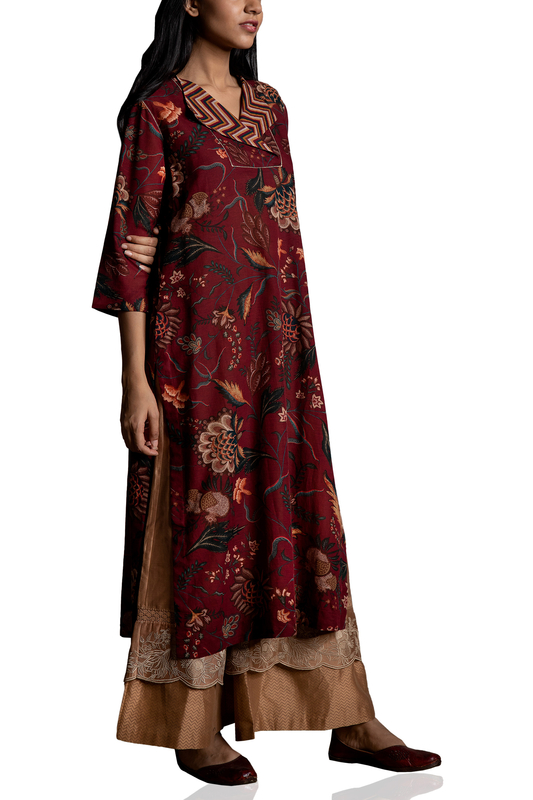 Burgundy chintz kurta designed by Torani at AASHNI+CO. 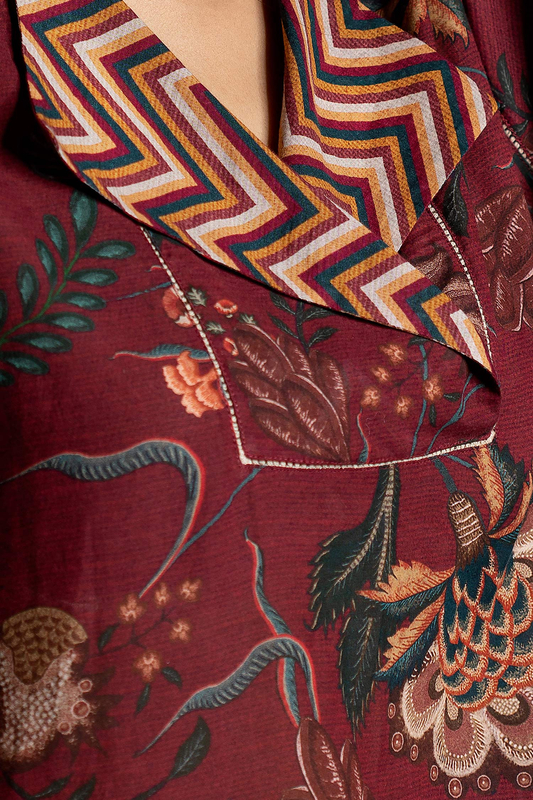 Torani brings sophisticated chic elements featuring a burgundy chintz kurta with chevron collar. 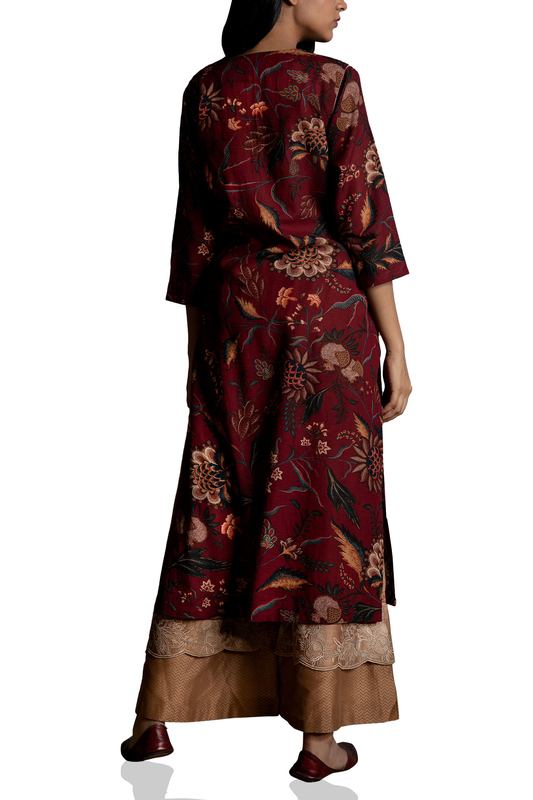 Style the look with dhoti pants and juttis.